Our Nicholson Whaling Collection is well known as one of the best collections of whaling logbooks in the country. 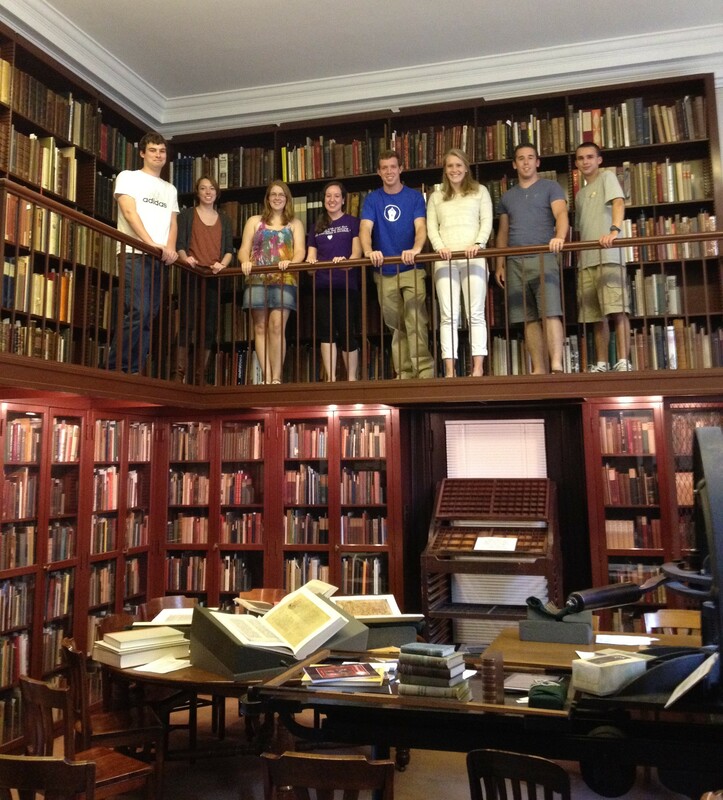 But the collection also includes quite a few other resources, including nearly 60 boxes of manuscript materials. (They’re described in a collection guide on our website.) 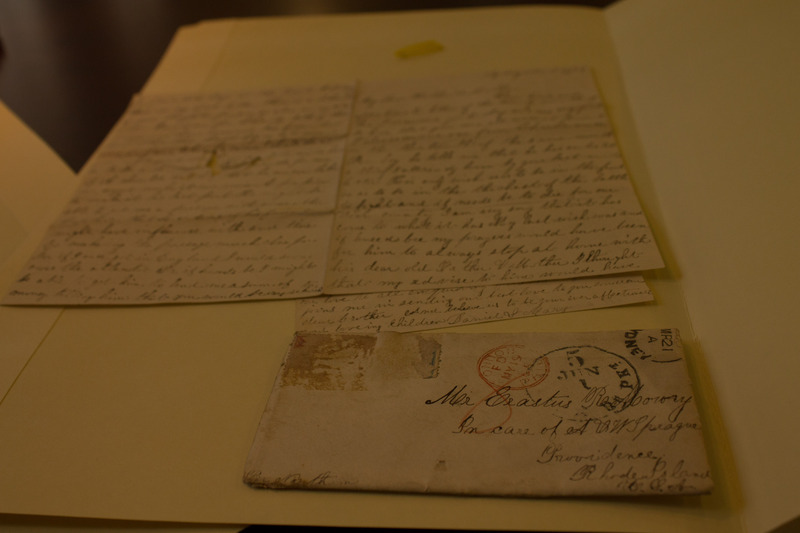 So after getting a brief introduction to Special Collections, they set to work transcribing one small portion, the letters of Daniel D. Mowry. Mowry went to sea as an 18-year-old, and it didn’t take long for him to regret the decision. We have letters from Mowry to his parents during the period from 1858 to 1861, at which point he abandoned ship in Auckland, New Zealand. He continued to write home from Auckland and Sydney, Australia for years. 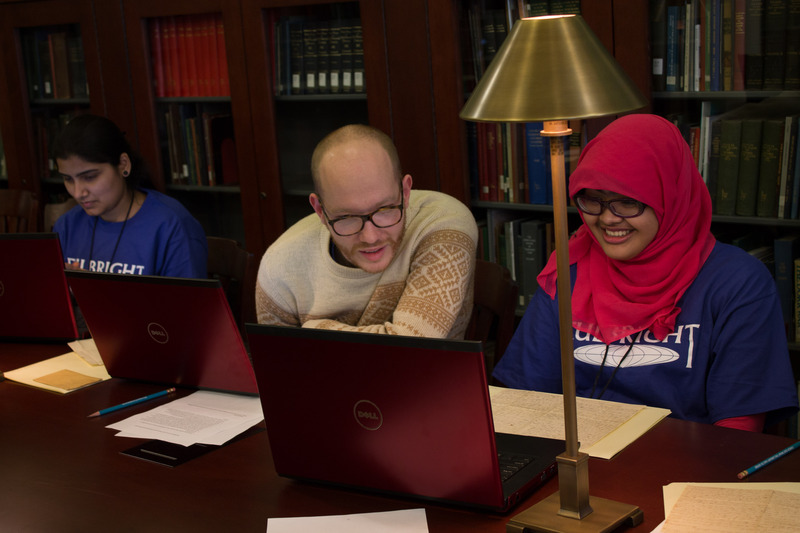 The Fulbright student volunteers set out to transcribe the manuscripts and help fill out the story, and in just a few short hours they made quite a bit of progress. You will no doubt be much surprised when you get this letter to hear that I am no longer in the Sea (Gull). I left the ship about four weeks previous to this date…. but know what I have endured and what I have seen with my own eyes you would blame me not. Her thirty three months I staid in that ship and they were months of misery to me. I took no comfort of my life neither did any of the ships company. It should be a great story when it’s all told. 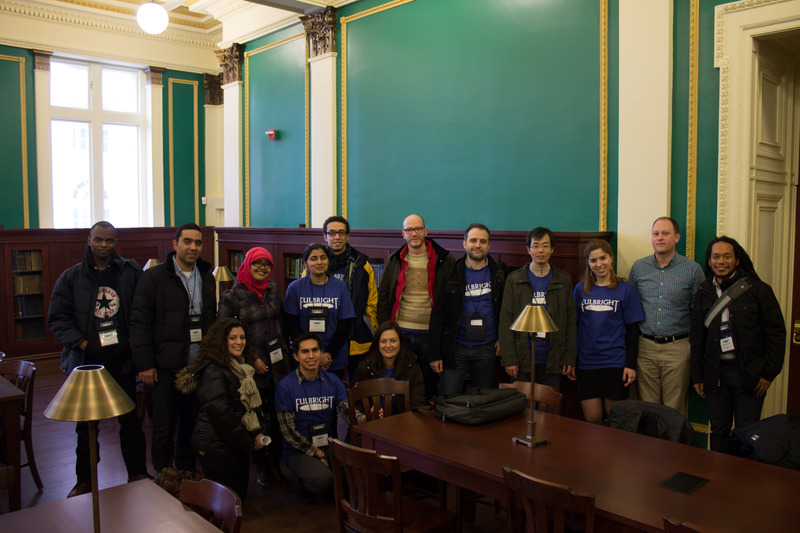 Within the next few months we’ll plan to have the images online with the transcriptions by the Fulbright students. Since they were working with limited time, many of the letters are not yet fully transcribed, so blog readers can have a chance to put some of the pieces of the story together as well by doing some voluntary, online transcription work of your own. 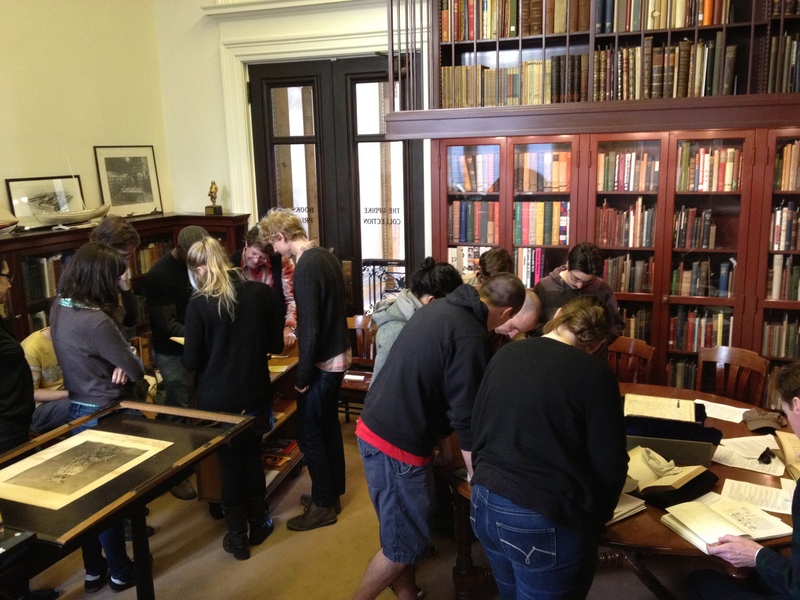 An image of students from a RISD printmaking class inspecting Special Collection items in the Updike Room. 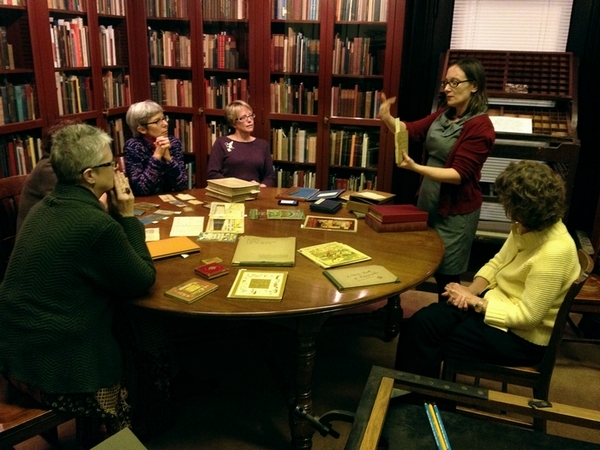 The class visited on Monday of this week, and the highlight was presentations from two RISD grad students volunteering in Special Collections this semester. The extensive Wetmore Collection offered examples of children’s books through the centuries. 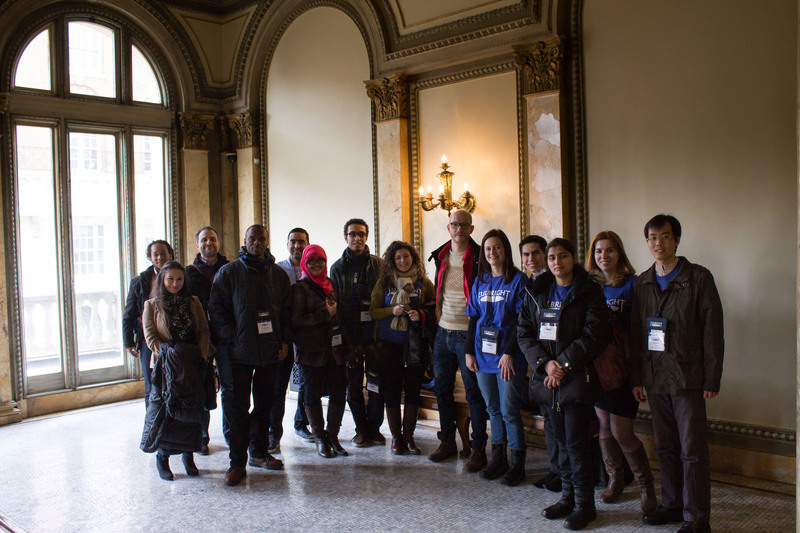 On Monday PPL Special Collections got a visit from area high school students and artist mentors from New Uban Arts, a terrific group whose mission is to “build a vital community that empowers young people to develop a creative practice they can sustain throughout their lives”. They discovered some of the great books in the PPL collections that they can hopefully use as inspiration for their own bookmaking project this week. It was a fun time, and more information about the project is available at the NUA blog. I’m really looking forward to seeing the completed book, “Brilliant Minotaur”.